Monde selection: gold medal winner, 3 years consecutive medal winner; winner of the High Quality Trophy. The Bio-normalizer” product produced and sold by Mitsuyou international Ltd (Head office Gifu City, President Kenji Maeda), featured in a competition for world class high quality goods in Europe (2014 Monde Selection, head office Brussels, Belgium) and was recognised as high quality in the health and diet sector, winning the gold medal. In addition, it was awarded the Monde Selection international High Quality Trophy, presented to products that have achieved excellent results for the past 3 years such as winning gold and other top class medals. The recent prize winning “bio-normalizer” is a fermented product derived from the green papaya, favoured by the Incas as a medicinal fruit for health and long life, combined with traditional fermented products such as natto and miso, said to be one of the main reasons for the strong health of the Japanese. 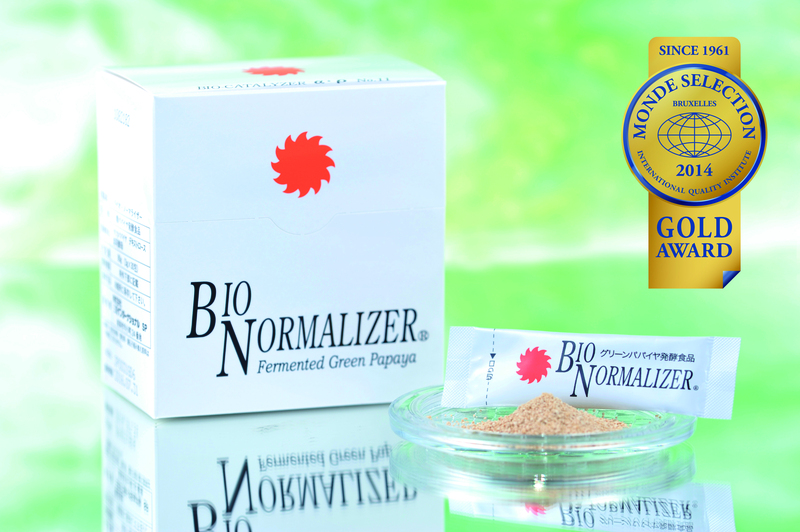 The bio-normalizer won the gold medal in the inaugural Monde Selection competition as a fermented papaya food. We have strived to improve the quality in order to maintain its reputation. It is fitting that the bio-normalizer can celebrate the 45th anniversory of its birth by winning this prestigious trophy. 45 years ago in 1969, Dr Osato started his research in to self-yeast fermentation by focusing on the papaya, a fruit which was named in the Meiji era as the “longevity fruit” (Manjuka in Japanese). When you think of fermented foods which have supported the prolonged health of the Japanese people, Natto and Miso are famous, but “Fermented Papaya” is also another very unique concept. As the world’s first successful fermentation of papaya, it is only now that papaya is being recognized as a fermented food which can improve vitality. Starting with the papain enzyme which can digest three major nutrients simultaneously, papaya contains rich nutrients including vitamins and minerals, which, by fermentation, enhances the inherent “self-protection power” in people. 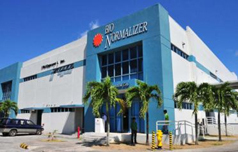 An additional benefit of Bio Normalizer is that it does not use any additives or preservatives and is a fermented food made with 100% natural products. Therefore there are no side effects with its consumption, it can be combined with medication, and be consumed at any time. 1)Over the 45 years which have passed since its invention in 1969, it has been a pioneer of papaya fermented foods. 2)According to over 100 academic research papers, Bio Normalizer’s effectiveness has been proved. 4)Because of health missions to Chernobyl, a Thai aids hospice, and for SARS in China, it is loved around the world. Monde Selection was founded in 1961 as an international organization for the quality assessment of liquor, food products, and other consumer products under a joint initiative of the EU and Belgian Government. Monde Selection is a prestigious, worldwide contest. Quality and taste are judged by an impartial panel of independent experts. It is the oldest and most prestigious prize for quality improvement in the world. The panel for the latest award in the “Diet and health product” category was made up of independent experts including a nutritional consultant, a university lecturer, and a chemical engineer. The analysis was completed in partnership with accredited labs such as BIOTOX, BRUCEFO, and the INSTITUT MEURICE of the Belgian Federal Public Service Authority. This entry was posted in information, News Release. Bookmark the permalink.